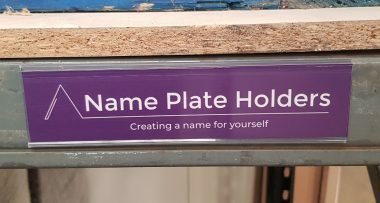 We specialise in quality office and warehouse name plate holders at unbeatable prices. 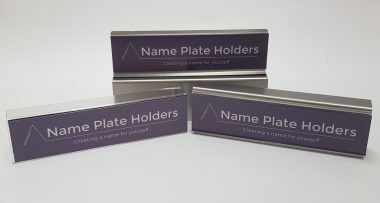 We have all you need with a very wide range of re-usable, interchangeable and removable name plate holders. Our holders are made from a variety of materials, including aluminium and PVC or in clear acrylics and PETG for durability and impact resistance. 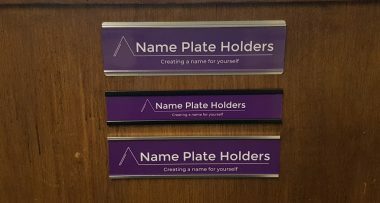 All our name plate holders are available with a choice of fixings such as self adhesive, velcro, magnetic or simply hook over or clip onto some types of office desk furniture. 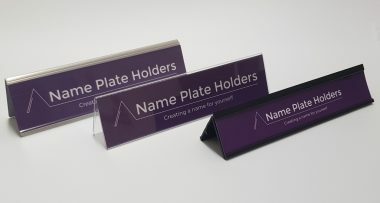 We supply the name plate insert holder and you create your own individual name inserts as and when required. We also supply high quality printed name inserts. 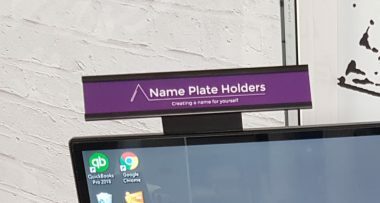 Our range includes holders for desk screen partitions and cubicles, computer monitor display screens, free standing desk tops, doors and walls. The minimum order quantity for most of our products is 30, but for some tent style desk holders it is 10. In addition we offer substantial discounts for larger orders. We can supply our products worldwide. 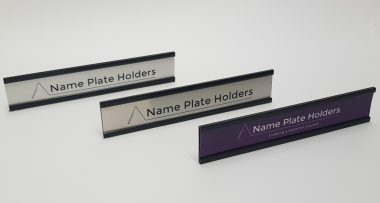 Name Plate Holders – Re-usable and interchangeable Name Plate Insert Holders.